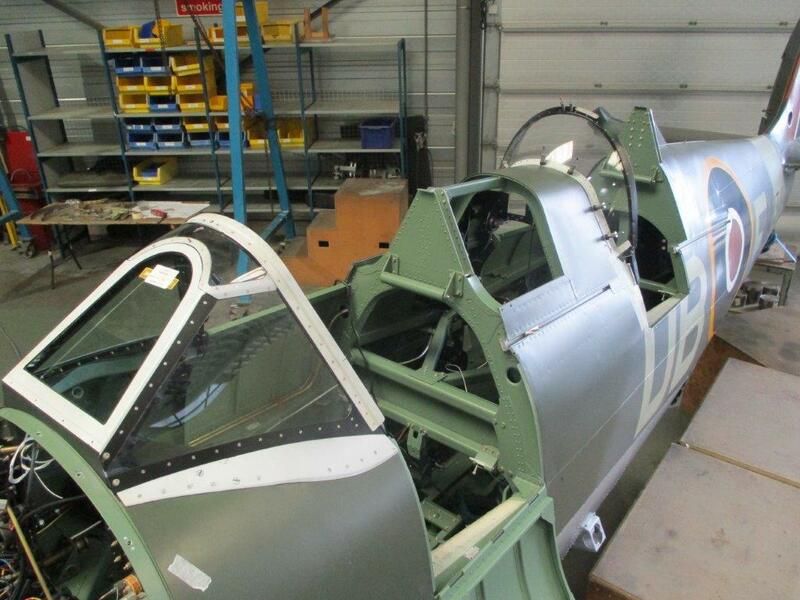 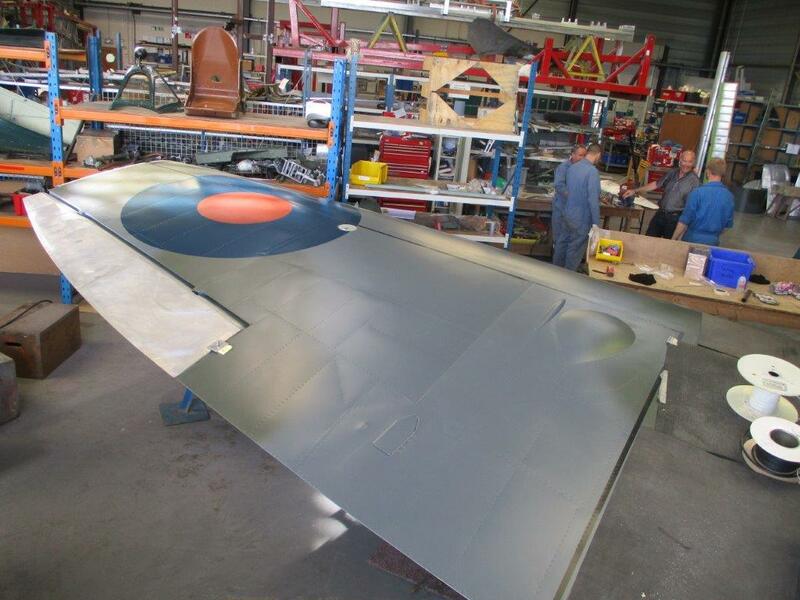 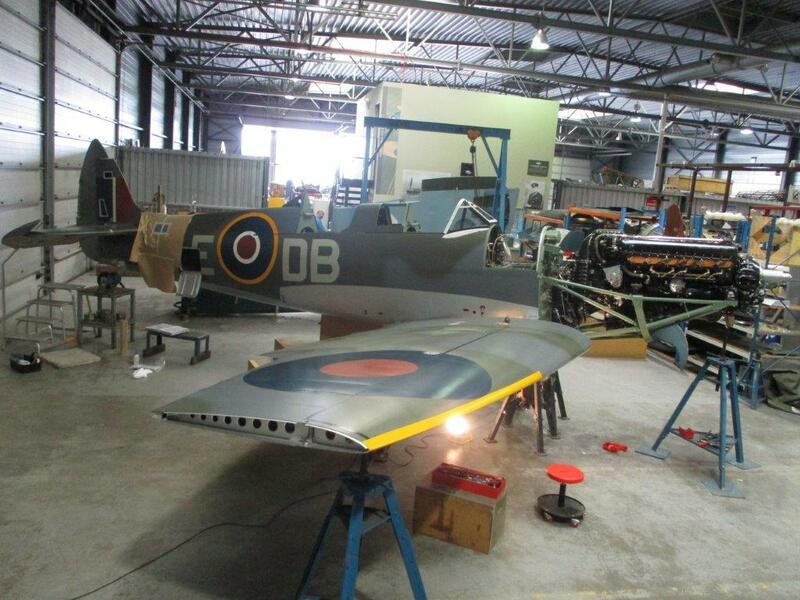 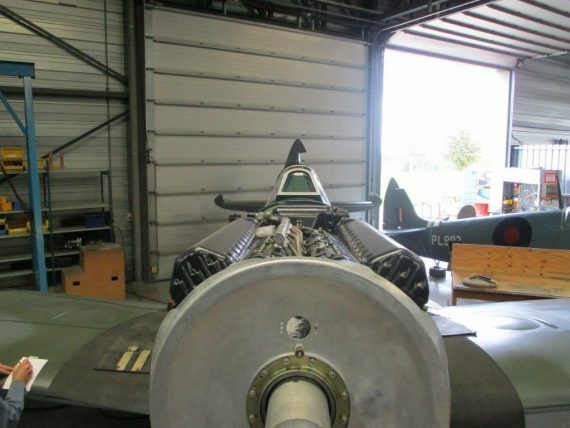 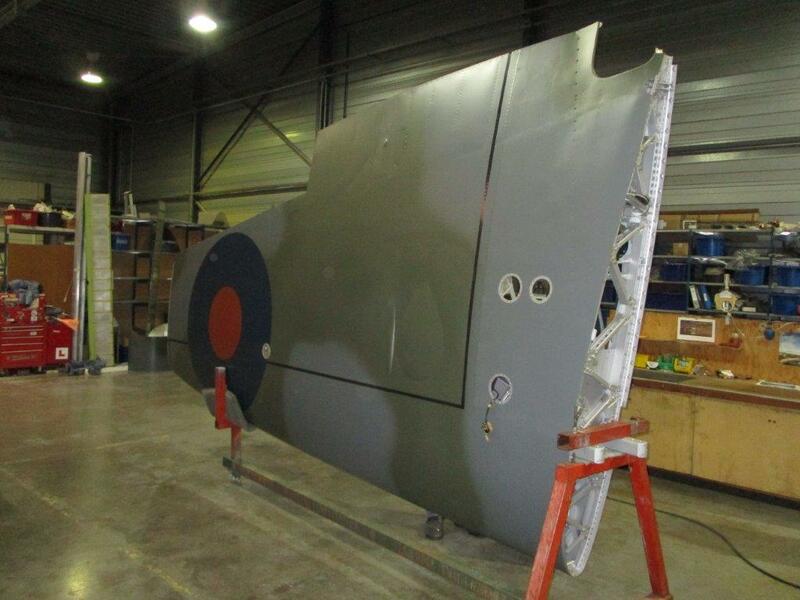 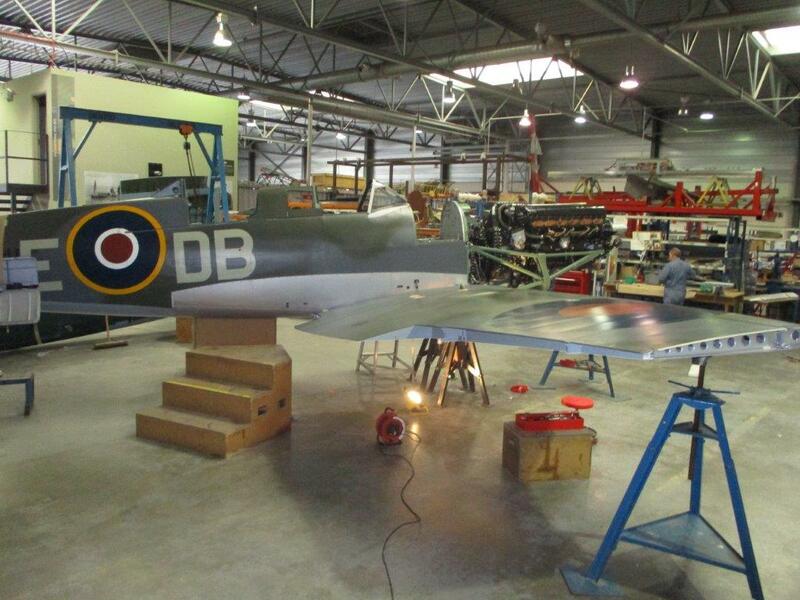 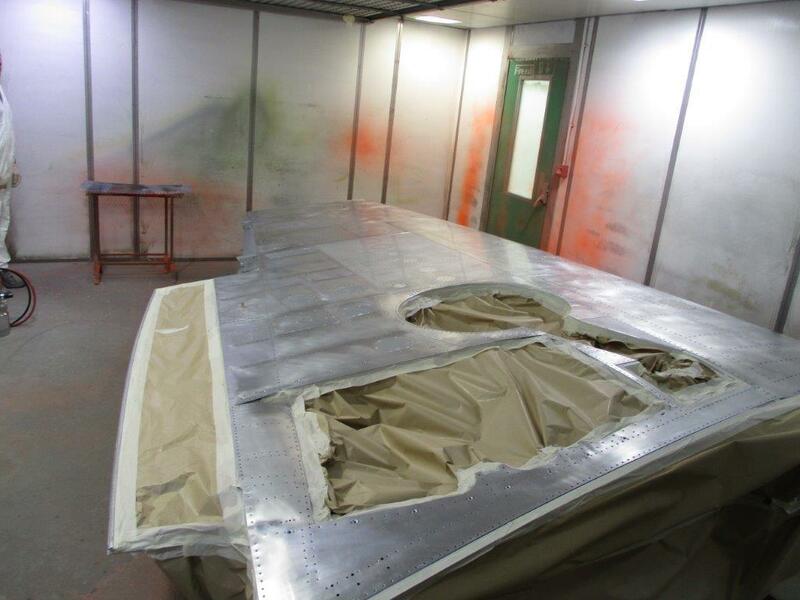 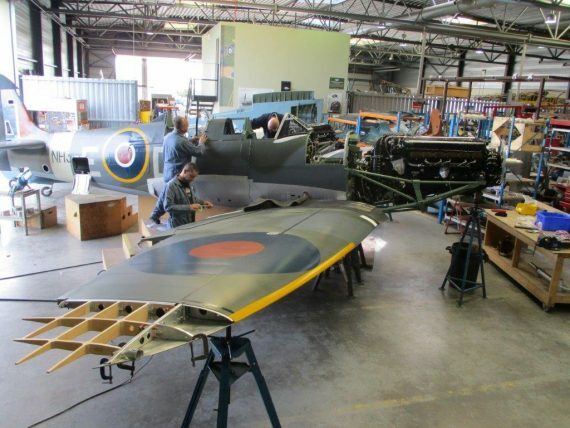 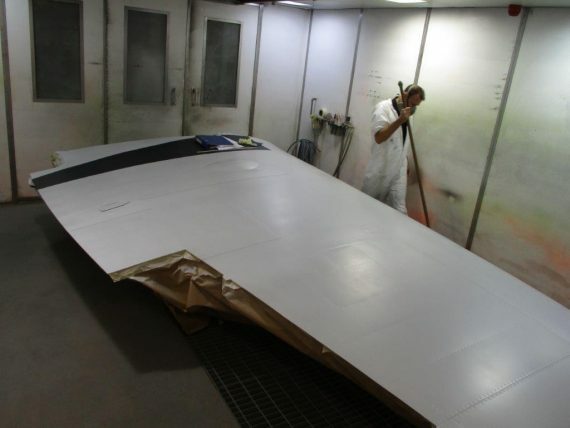 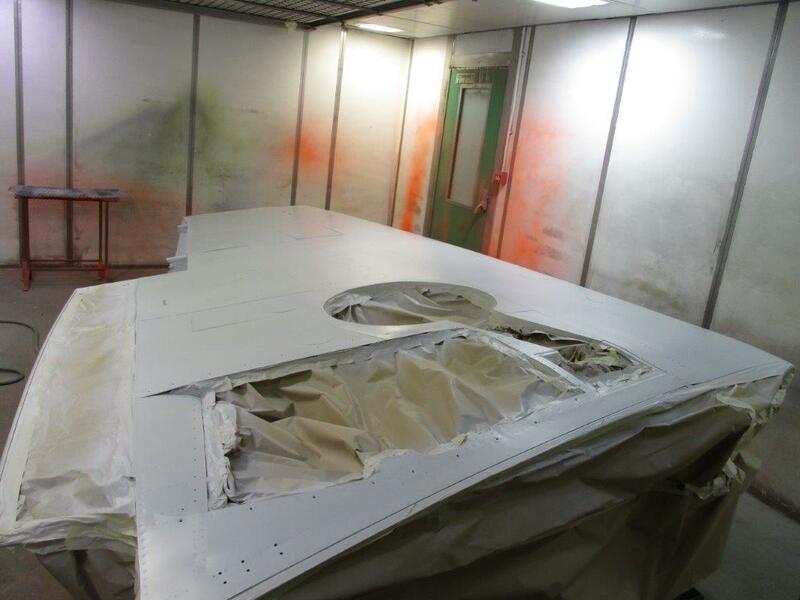 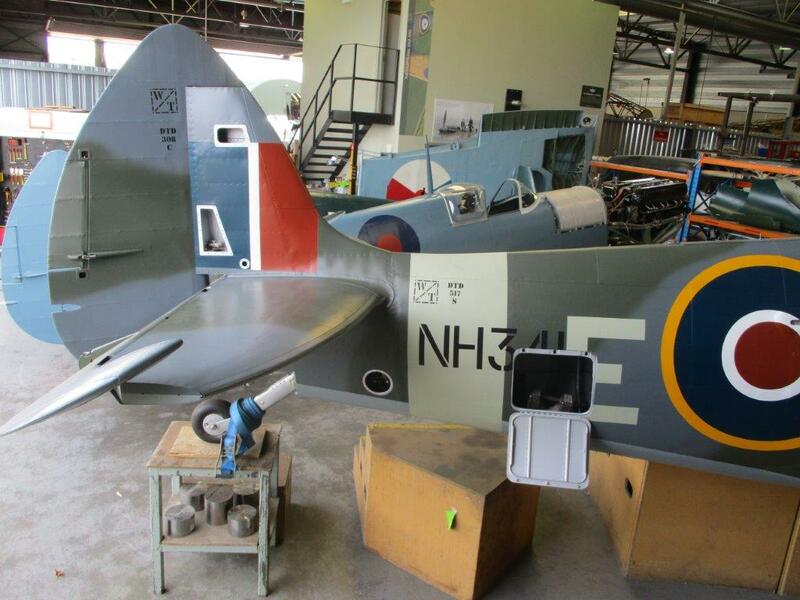 Both wings have been painted are now fitted to the fuselage. 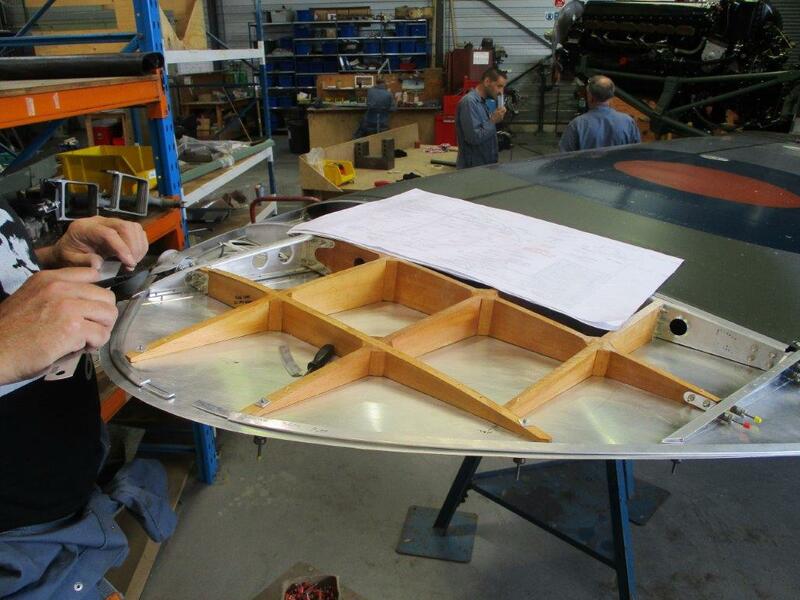 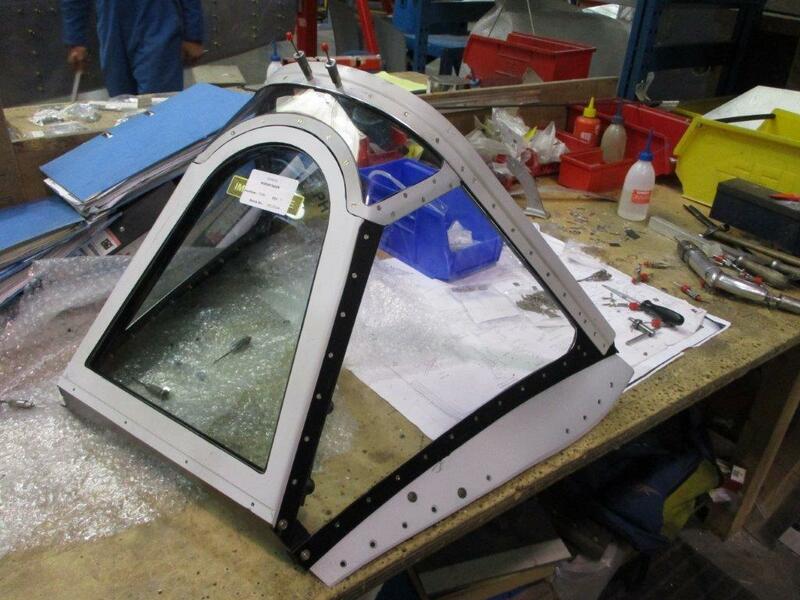 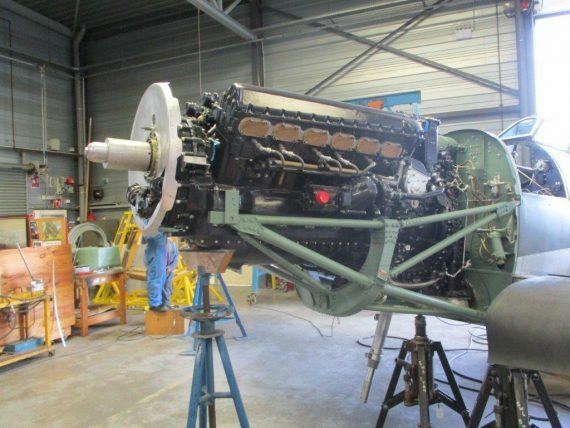 The 14 wing attachment bolts have been reamed to nominal size and the bolts have been fitted. 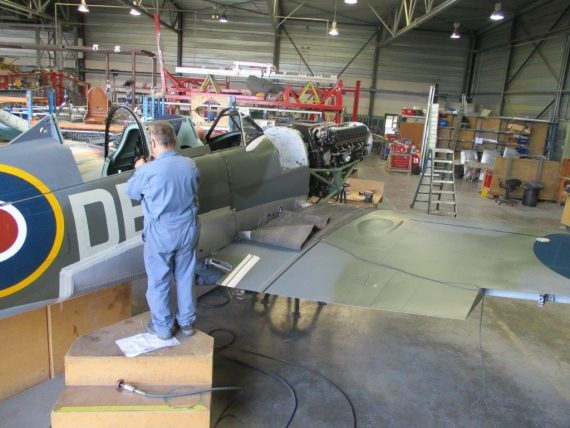 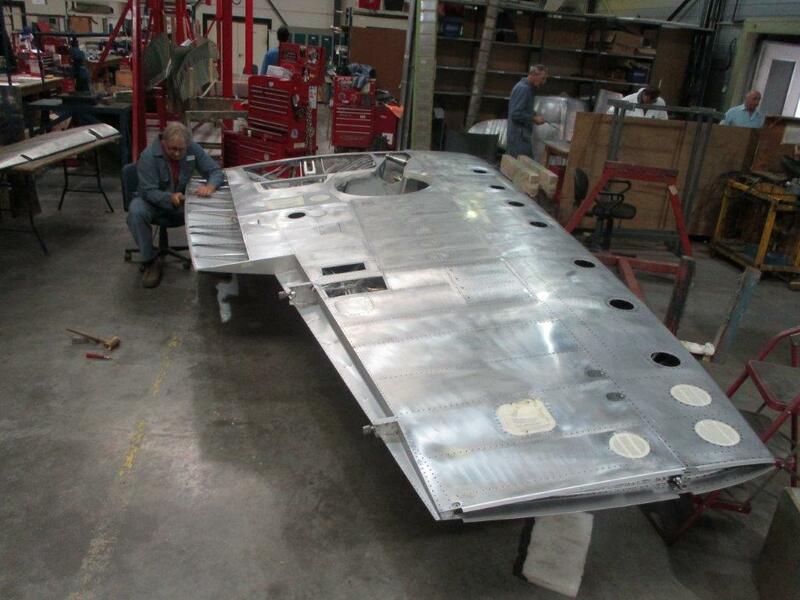 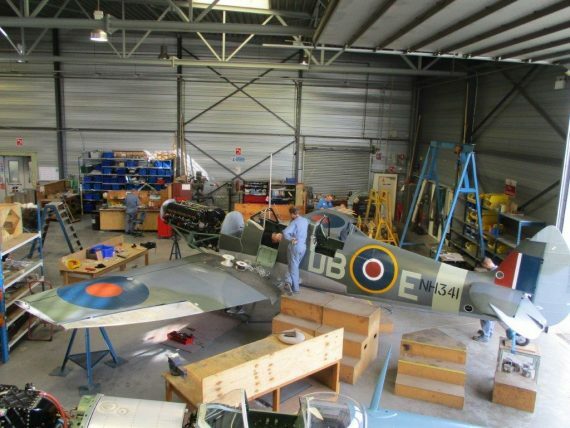 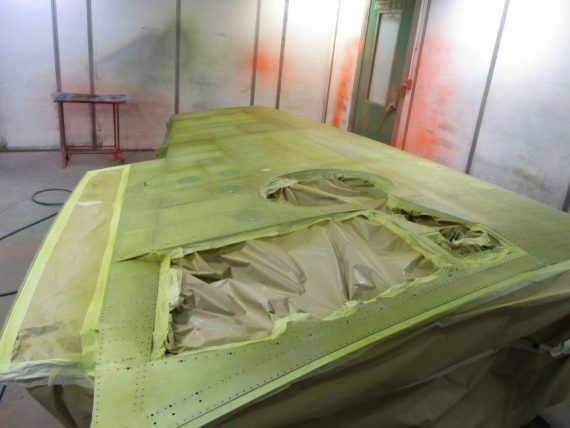 The undercarriage doors and wing tips are currently being worked. 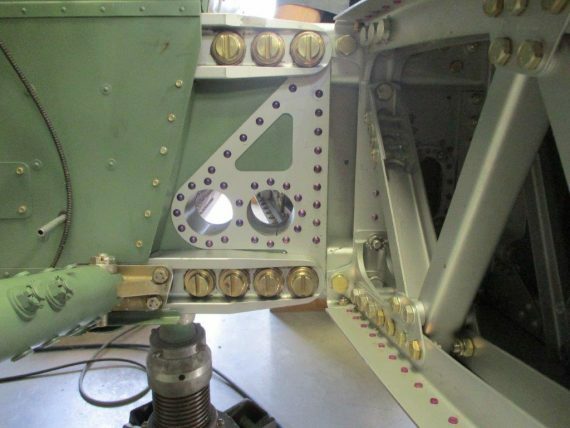 Cowling rail brackets and details continue to be made. 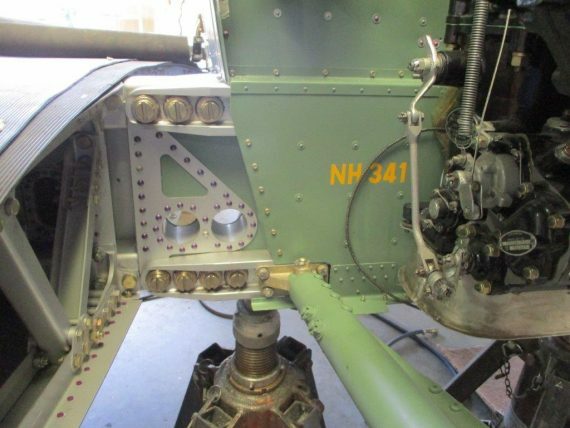 Various chain and cable guards have been made for the cockpit. The front screen has now been fitted with the rear screen to follow shortly.. 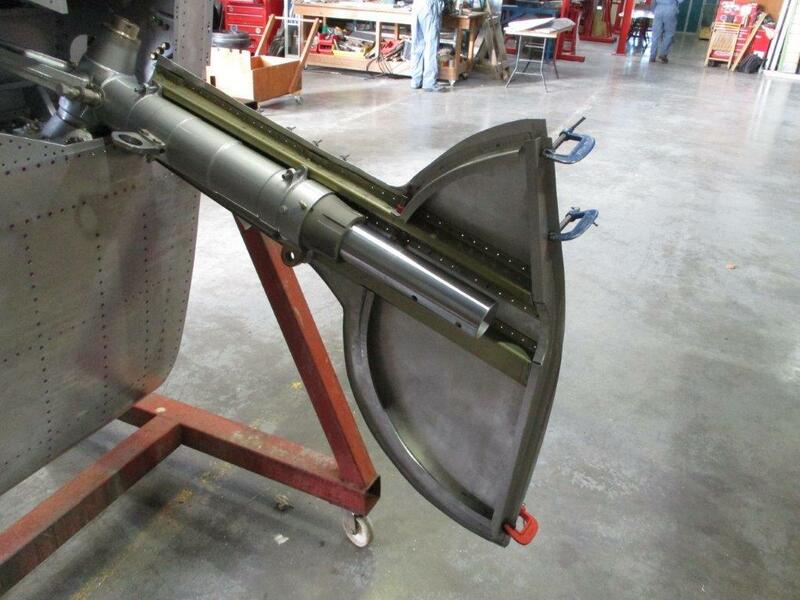 The wing fuel system is now complete. 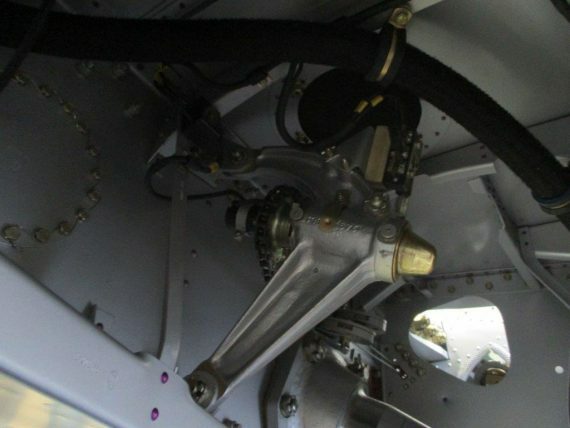 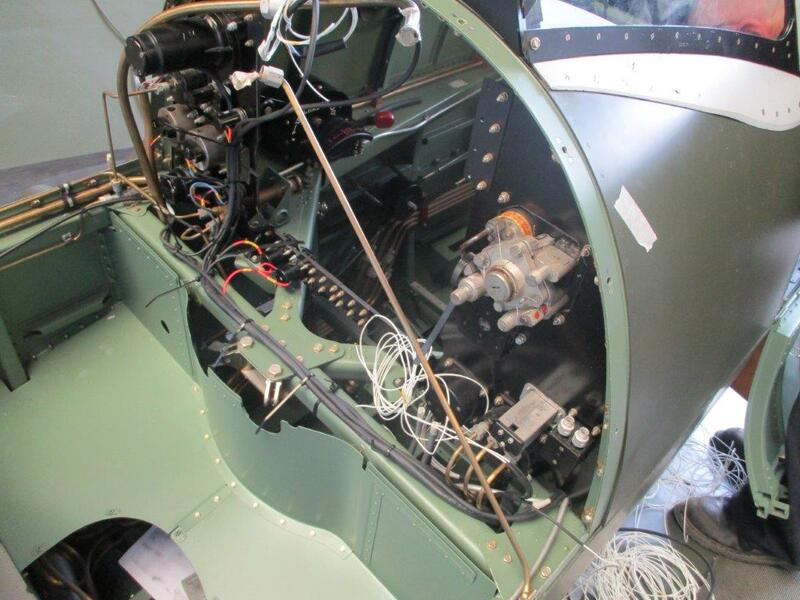 The wiring for the pitot head and undercarriage microswitch system has been installed. 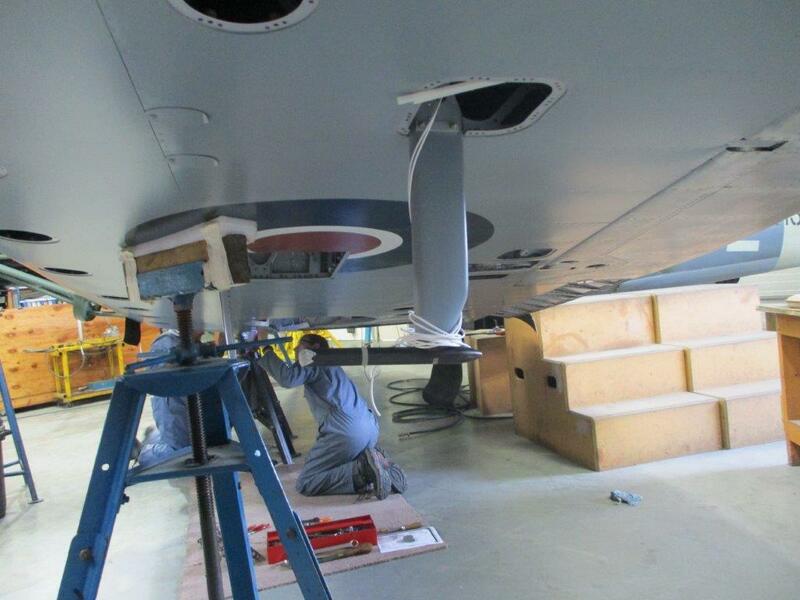 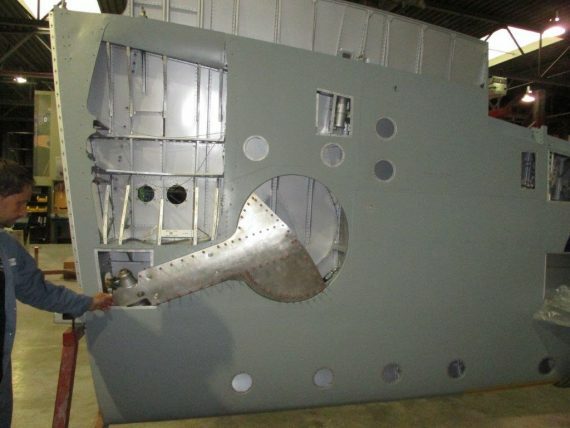 The undercarriage cables are being rigged and holes are being cut for various controls. 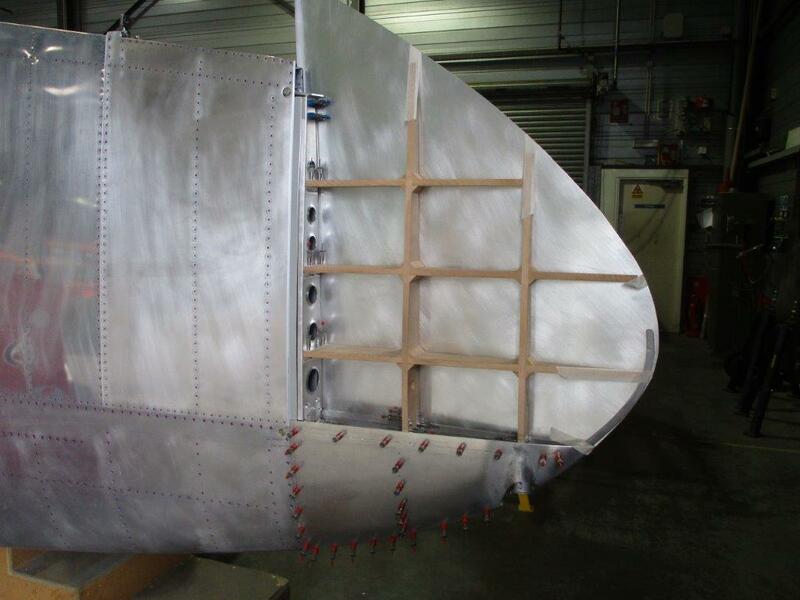 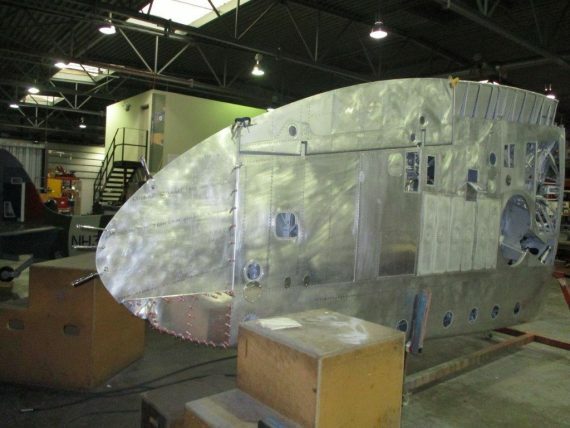 The main electrical looms for the fuselage are being installed. 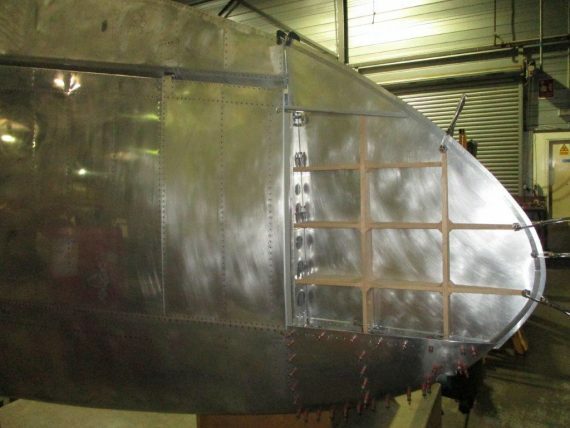 Undercarriage doors and wing tips will be finished. 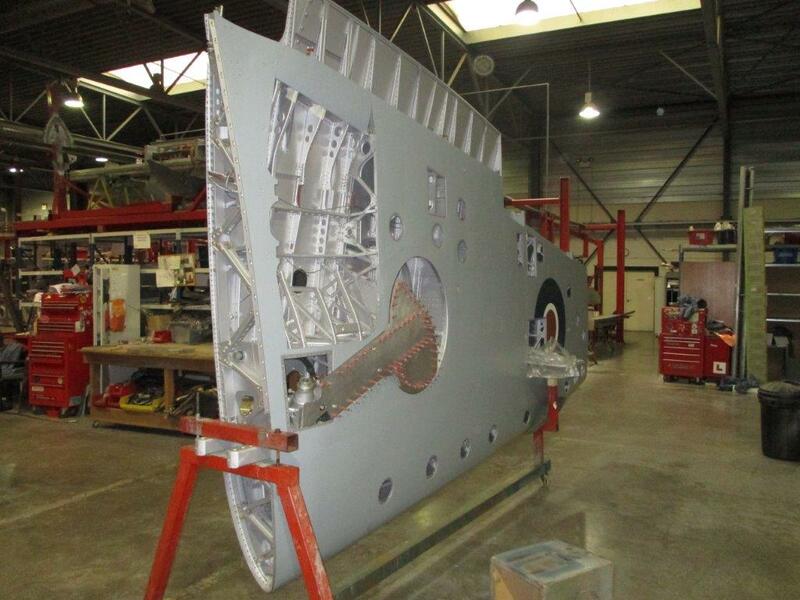 Undercarriage retractions will be carried out. Fillet fairings will be in work. Engine bay system installation will commence.